Are you worried that your marriage will not last due to poor finances? This guide will help you know how you can save your marriage from financial stress. Love is blind to complexion, age, class, religion, cast and financial status. When you fall head over heels for someone, you want that person as your life partner, no matter he/she is rich or poor, but as time passes by the financial instability begins to take a toll on your relationship. You are making a marriage successful until death can take a lot of efforts even though you are a millionaire. Communication is the key to figuring out ways of financial problems. Tell your spouse the economic pain you have been going through to find out how efficiently and smartly you could handle the problem. If you are running out of money, you can take out a personal loan by tightening up your belts. Making a financial decision is not as easy as it seems. It needs careful consideration. Otherwise, you may suffer from substantial financial losses. Before you move in a relationship, you should know what accounts for the economic struggle in marriage so that you could head them off before they come up. Most financial issues arise due to different values and thoughts about money. You are likely to have a habit of savings and investing money while your partner is expected to have money to satisfy caprice even if money is borrowed from registered and trusted direct lenders in the UK like Amigo loans, Unclebuck, British Lenders etc back to back. Conflicts arise when partners fail to manage finances as a team. Not only will giving priority to your whims over your financial needs hit your finances badly, but it will also ruin your marriage. It is crucial that you openly communicate before and after your wedding about your finances. Both of you have to understand each other’s view of money. Many couples create a joint account of their earnings to use for all regular and emergency expenses after setting aside a small chunk of money for a rainy day. Some couples rely on the earnings of one individual and use the spouse’s earnings for emergency reasons. This helps them avoid taking out emergency loans. However, this happens only when one’s revenues are sufficient to meet all regular expenses. Some spouses consider their profits as their own and divide costs down the middle. There are several ways to manage your finances efficiently. You and your spouse have to agree upon the idea that suits you best. 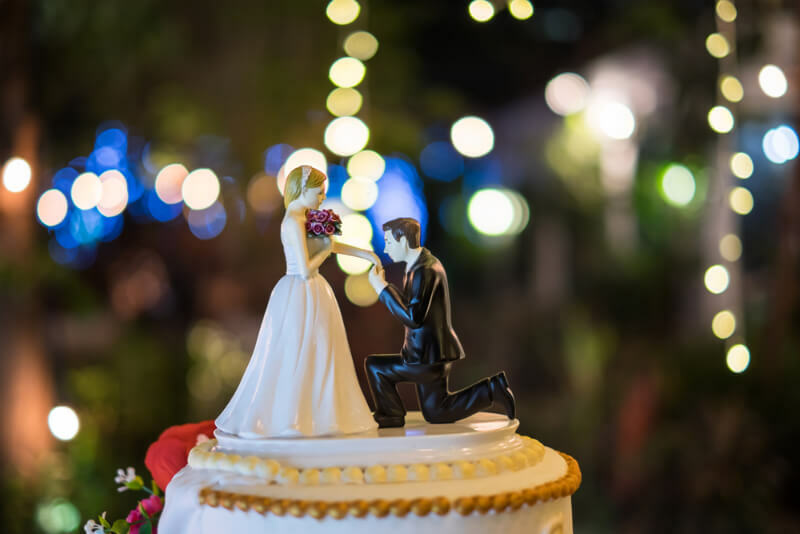 Couples generally do not discuss financial issues entirely before and after marriage, and this is one of the major causes that take your wedding on edge. Savings must be your priority if you do not want to get into the trap of debt. If you continue to dissipate money in whims, you will inevitably end up with a permanent circle of debt. Create a budget and work together which expenses must be on our top priority. Make a list of those expenses by taking each other’s consent and stick to that plan with full support and cooperation. You are likely to get off the track despite a realistic budget. Tough time can be overbearing, and you may lose your patience. Do not play the blame game. Do not waste your energy in slagging off each other rather you should sit together to figure out the ways to sort out the problem. Disagreement from either side will multiply the money stress only. Ideally, money is the major problem of ruining marriage; therefore you should know the credit score of your partner. It is better if you know it before your wedding. It will help you get an insight into how your partner managed to meet the financial obligation in the past. If you apply for a joint credit card account or a loan, your lender will consider the credit score of both of you. If any of you has a poor credit score, either you will pay high interest rates, or you will not have access to all benefits and deals. The best thing is to discuss your financial condition with each other openly. It brings transparency and builds trust, an essential thing to make a marriage successful. Money is important but to a certain limit. Your relationship should be on the top of everything. You will be worse off if you continue to spend money to keep up the Joneses. Do not spend beyond your capacity or else your finances and your marriage both will finish. Pradeep is having an experience of about eight years in the field of Writing skills on Finance and stress-related issues. Moreover, he passionate for tour and travels and his enagagement on social media platform is 100%. He has quite amazing knowledge on Social isssue and affairs.